On Saturday night, December 14, everyone is welcome to the first annual Vista Grande Social Club Fundraiser – “Dancing with the Salsa Stars”. As a group of volunteers who bring you our monthly Saturday Night Salsa Parties, we invite you to join us for a salsa dance lesson and live music with Jackie Zamora and CALLE 66. As always, The Performance Space at La Tienda will be transformed into the hottest club in town. This month, don your gay apparel and bring a few extra bucks to support our ongoing efforts to bring live dance music to Santa Fe. $5 dance cards will be available to guarantee you a dance with one of our “Salsa Stars”. All donations are gratefully accepted. Included in the $10 cover is a salsa lesson with David Lopez from 8:00 – 9:00. Jackie Zamora and CALLE 66 starts at 9:00pm with high energy dance music. Guest DJ PA Trix will be spinning for the breaks. Beer, wine and food are served up at our own La Plancha restaurant. Saturday, December 21 from 2 – 5 pm at The Performance Space. This event is FREE. The debut novel by chess grandmaster Jesse Kraai tells the story of a 13-year-old California girl who defies her mother and her school to study chess with Russian master Igor Ivanov. 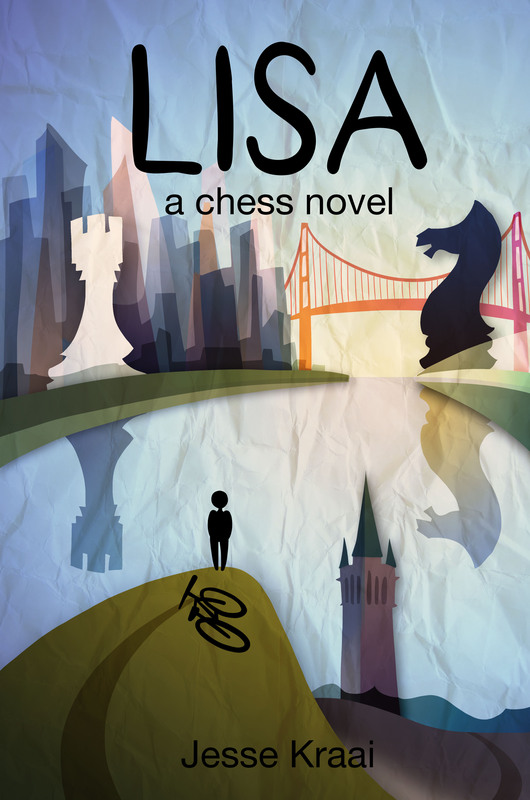 Lisa is an exploration of what it means to get an education in chess, and a meditation on what makes the game so compelling to those who play. It is a fantastic story with a cast of characters that will be familiar to anyone who’s ever set foot in a tournament hall. Lisa is available in ebook and paperback.